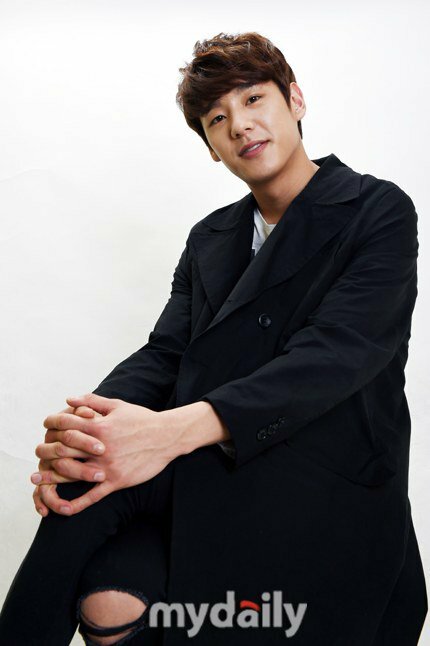 Actor Kwak Si-yang started off with the movie "Night Flight" and became famous for the SBS drama "Good Day". He then continued onto Mnet's "Sing Again, Hera Gu". He did three jobs in a year. He's 187 centimeters tall with a model-like style and low-toned voice. He has pretty smiling eyes and has everything the 'it' star has today. He's also been out of the military for 5 years now. There's nothing but a smooth path ahead of him. He recently played Kang Se-jong in "Sing Again, Hera Gu" and covered everything from singing, dancing and mellowness. He also became good friends with Min Hyo-rin, B1A4 Jin Young, Ulala Sentation Park Gwang-seok, Yoo Seong-eun, Super Junior M Henry and other actors in the last few months. "Sing Again, Hera Gu" being the music drama of Mnet, the story is about the members of "Dogged" from how they came to be and the process to starring in "Superstar K". Kwak Si-yang starred in it as Kang Se-jong who has a talent in studying. His mission was to cover everything from dancing and singing to be on "Superstar K". "I didn't think I had a talent for music but I learned the guitar for the first time for this drama. Our teamwork was so good that if we ever had a break and someone was playing the guitar, we would all join in". Kwak Si-yang put his all into "Sing Again, Hera Gu". Not only did he film the drama but he worked hard to maintain the quality of a 'music drama'. It was hard for him to just pretend to be good at dancing. He thought of not letting others suffer because of his mistakes so he was more careful. Actually, he had to go through some tough competition to get this role. All it took him was will power and effort. Kwak Si-yang didn't have a dream until his early 20s. He joined the army when he was 24 and started dreaming of becoming an actor there. "My father used to hate my job. He wanted me to be a public worker or a soldier. Now he is proud of me. He messages me about the good job I am doing every time I finish a job". 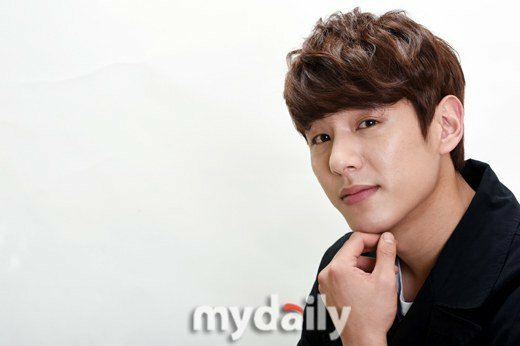 Kwak Si-yang has a strong resolution for this year. Since his name ends with 'Yang' (Korean for sheep), he plans on making the Year of the Sheep his year. He plans on doing more jobs. Maybe four this year. He says he wants to work 'like a cow' and he seems determined to do it. "Jin Goo is my role model. I always say I want to be an actor who rings the heart and he's just that. He rings the heart and his eyes speak the truth". "Kwak Si-yang, "The year of the 'Sheep', I want to do more""
Hong Jong-hyun, "Jin Se-yeon is a woman"